A lit scented candle has the power to transform your environment and mood. 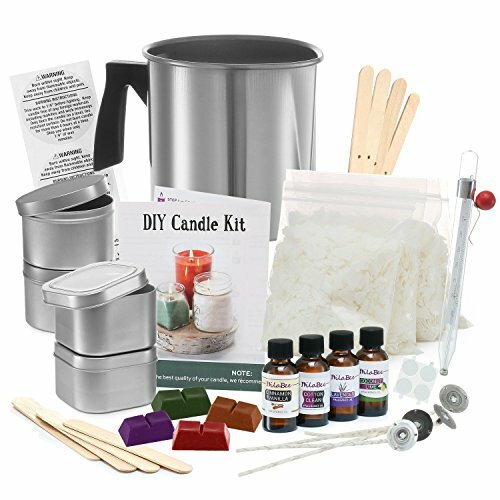 That's why we want to make it easier to create your own with our all-in-one home candle making kit! Not only is candlemaking an enjoyable hobby, it also makes for a great group activity at parties and family get-togethers - with delightful results! With our clear, step-by-step instructions you simply can't go wrong. If you have any questions about this product by DilaBee, contact us by completing and submitting the form below. If you are looking for a specif part number, please include it with your message.